My second post in this series! 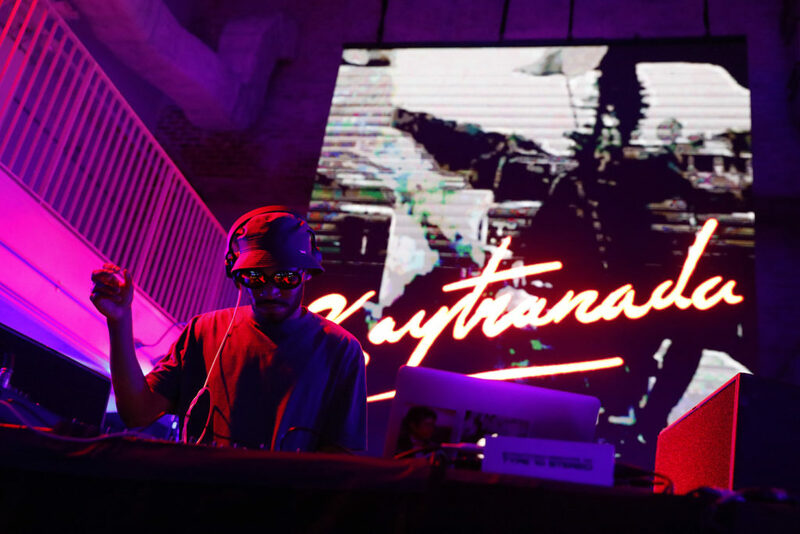 For my July report, I’ll be introducing several different kinds of events, including a music festival, a masterclass, and reception parties. 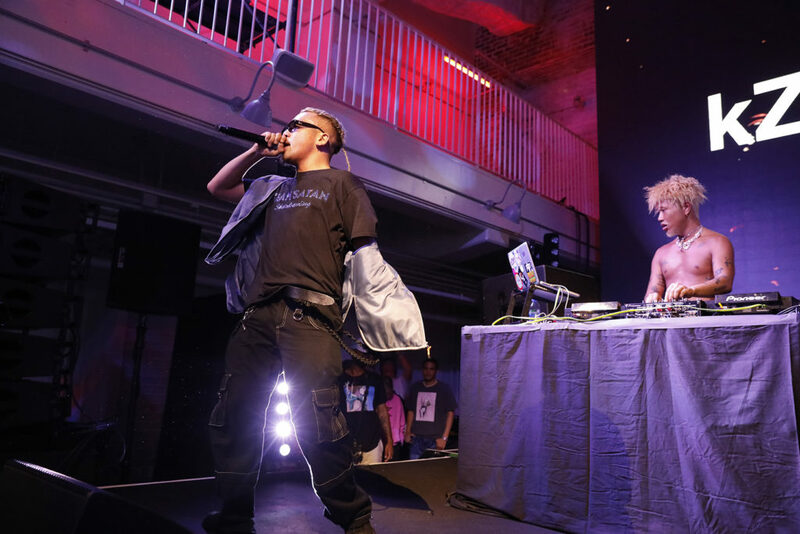 Ever since I started working at a PR company in Tokyo, I’ve had more access to really cool events happening in the area and it’s always fun to meet new people in the industry. 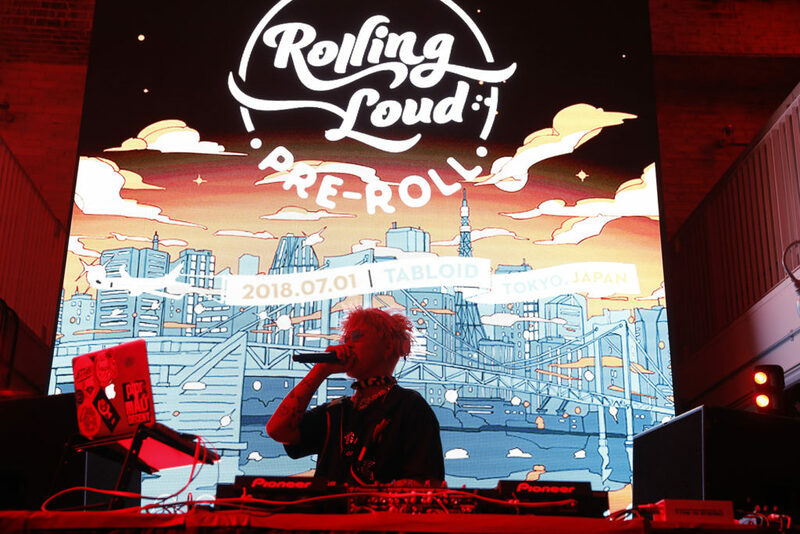 Anyways, I hope you enjoy my July Tokyo party report! 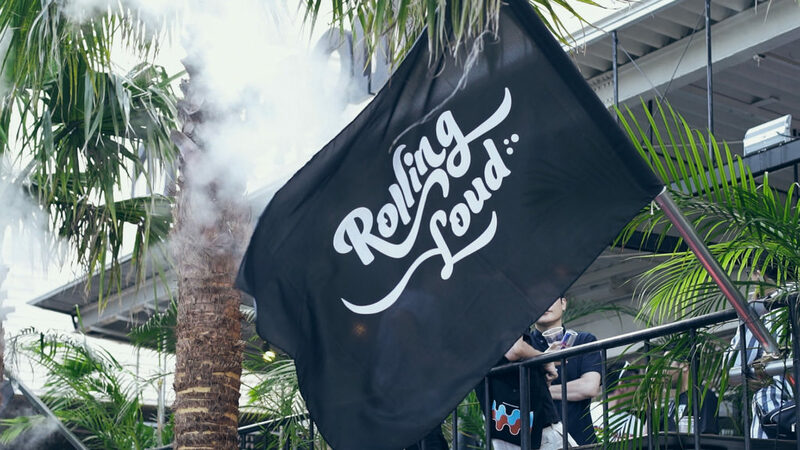 Rolling Loud is a 3-day music festival that started in Miami, FL and is now the biggest hip-hop festival in the world. 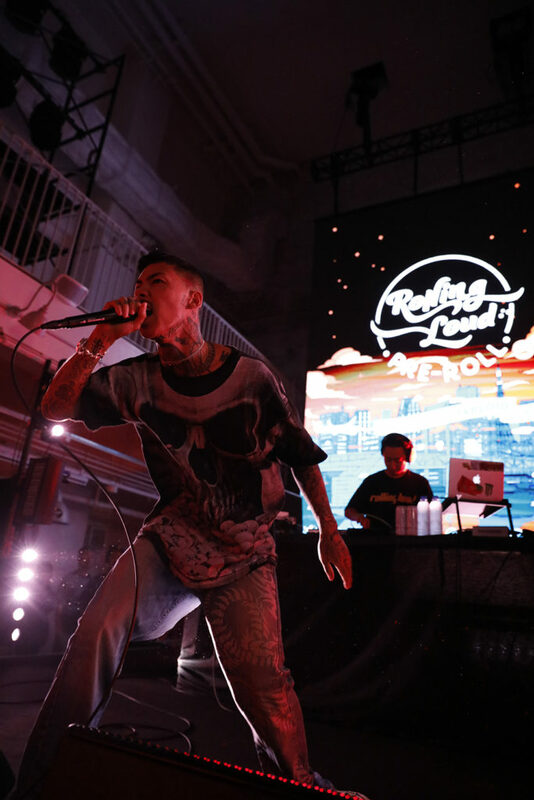 I was fortunate enough to help out with the PR for the first Rolling Loud in Japan! 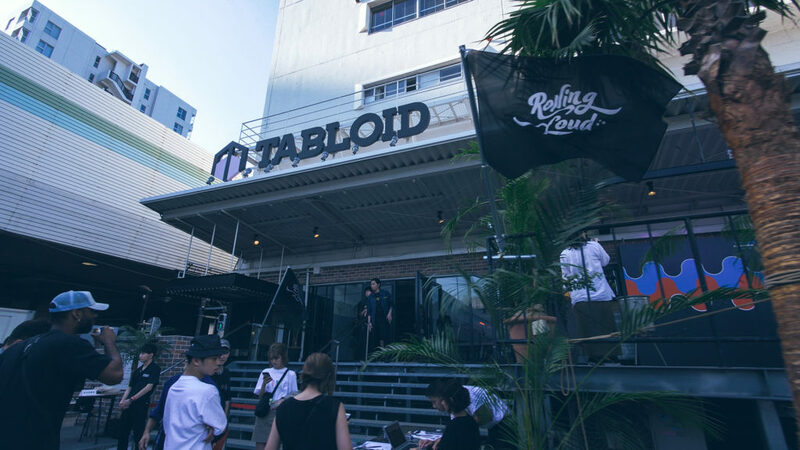 Rolling Loud Japan Pre-Roll was held at TABLOID on the 1st of July, featuring heated performances by DJ MARZY, kZm, KOHH and KAYTRANADA. 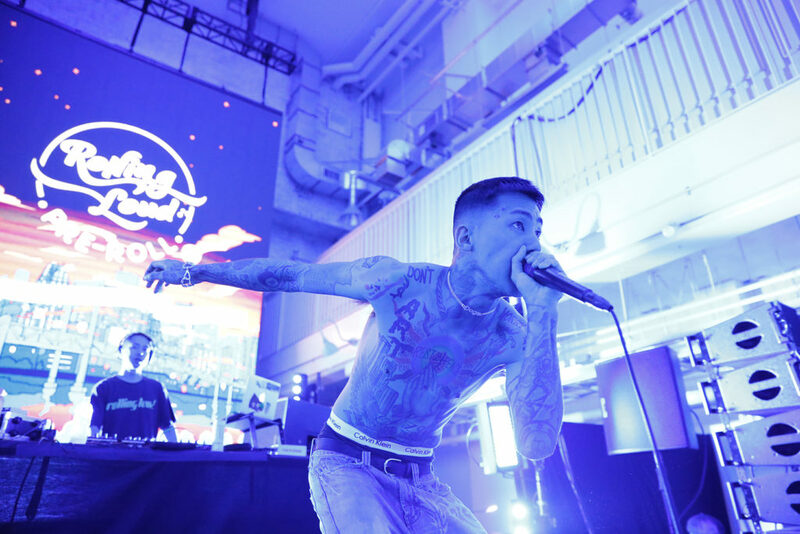 Unfortunately, I was outside the majority of the event helping out at the photocall, but I did sneak in a few mintues of KOHH’s performance (which was amazing by the way) and got to interact with a lot of the guests while on the job. I can’t to go to the next one! 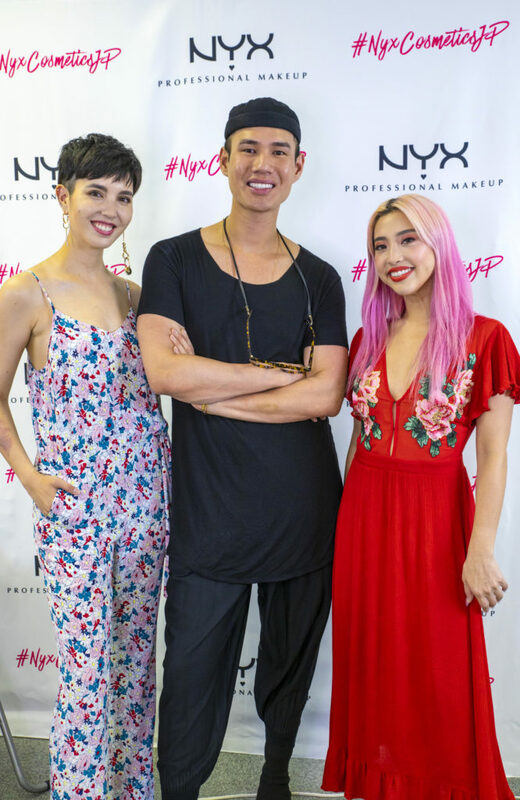 I was also on the job for this event, and like the NYX Cosmetics Japan Masterclass with Jordan Liberty (see post here), I served as Patrick Ta’s translator for the entire event. 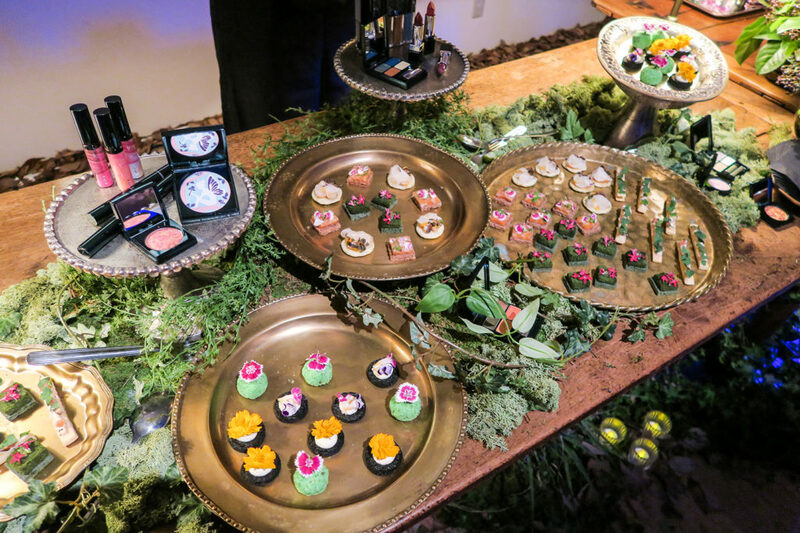 Patrick is a reknowned makeup artist based in LA who has done makeup for big-name celebrities such as Ariana Grande, GiGi Hadid and Rihanna. 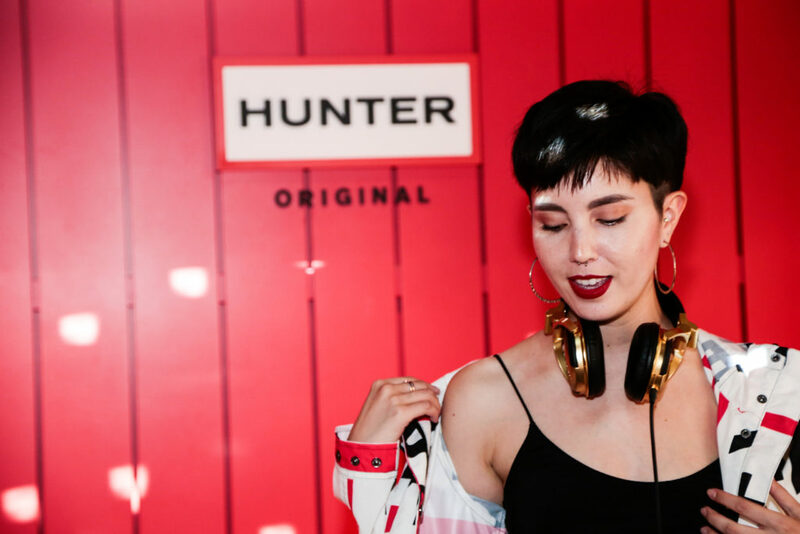 For this masterclass, he demonstrated a summer-inspired makeup look on model/DJ Alisa Ueno, featuring new products from NYX. 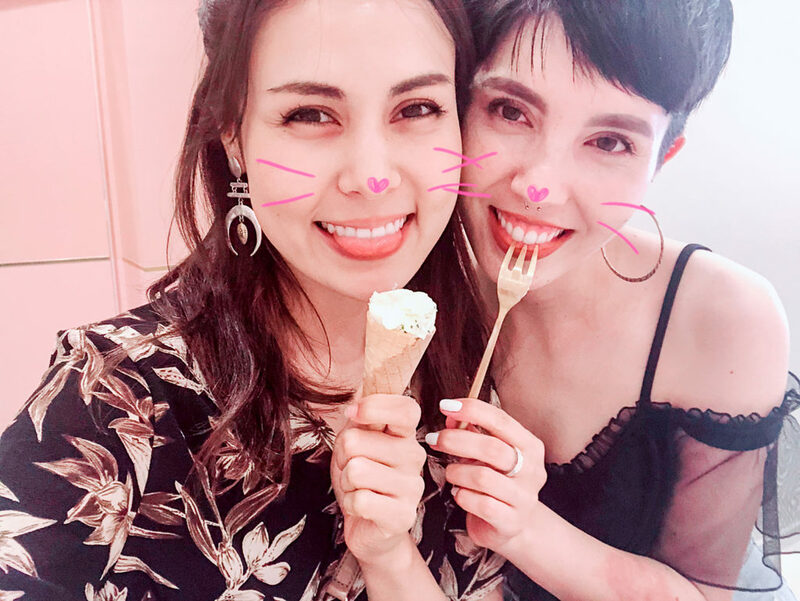 It was a very thorough, easy-to-understand masterclass where many MUA’s, beauty YouTubers and Instagrammers, and even students were in attendance. I definitely found Patrick’s makeup tips and tricks to be very useful! 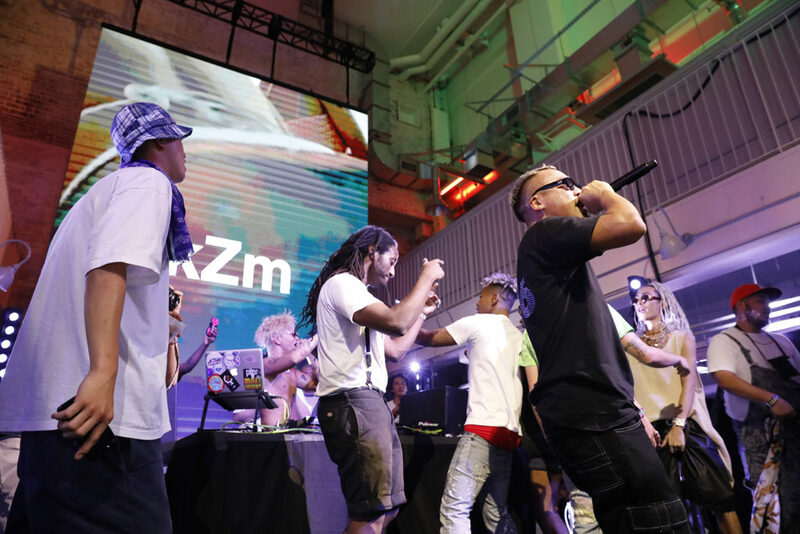 I finally made it to the Cosmopolitan Japan Summer Party this year! 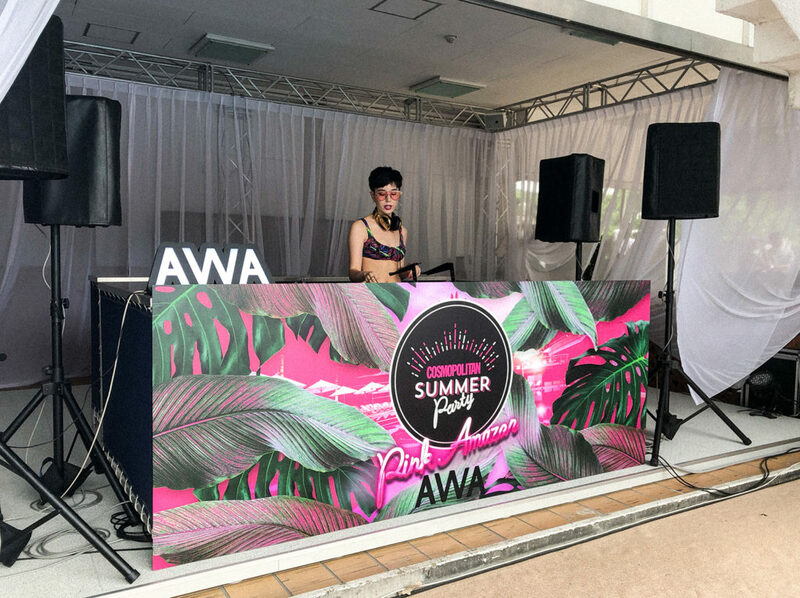 Last year, I was in Paris when they threw their first summer pool party, but this year, I was invited to DJ in the early afternoon, right in front of the pool at Hotel New Ohtani. 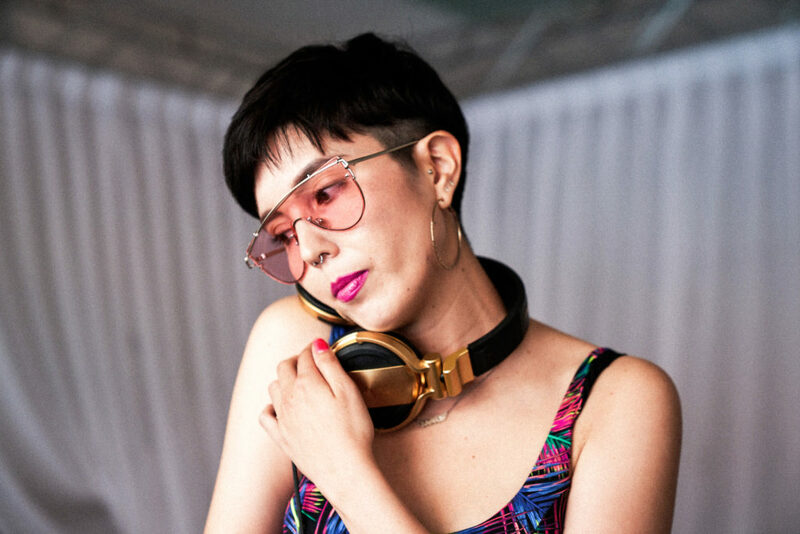 I’ve always wanted to DJ at a summer pool party so this was the perfect opportunity as I also do a monthly column for Cosmopolitan Japan. Maison Able Cafe RonRon is a new type of cafe – it’s an all-you-can-eat sweets cafe with small dishes rotating on a conveyor belt, kind of like a conveyor belt sushi bar. And the sweet news is, it’s only 1800 yen (approx. 20 USD) for 40 minutes of all-you-can-eat dessert! 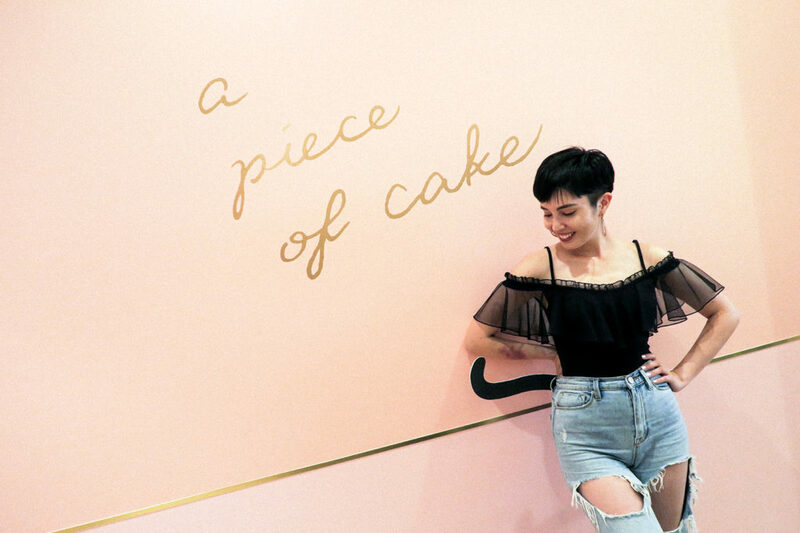 You can choose a hot or cold drink of your choice, and some of the dessert options include macarons, crepes, cake, pudding, popcorn, and chips. 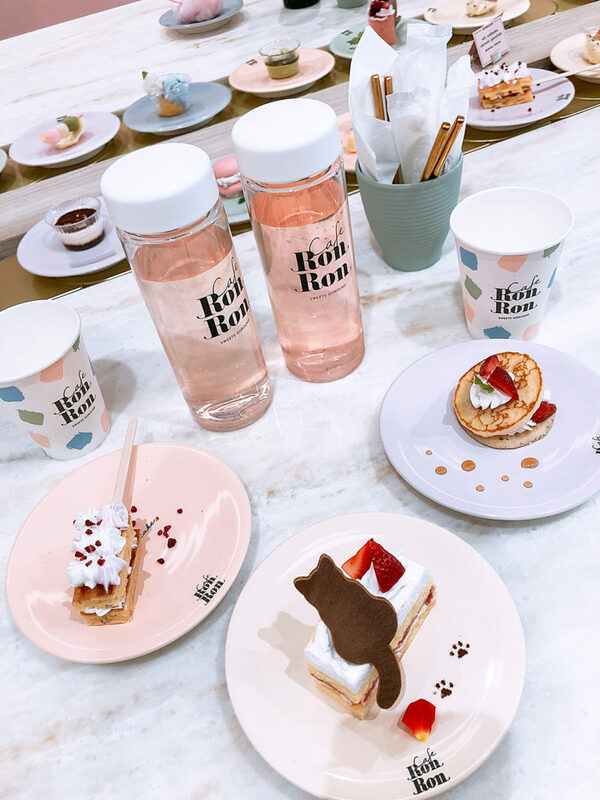 In French, “ron ron” is the sound a cat makes when it’s satisfied, hence the cute cat motifs on the desserts. 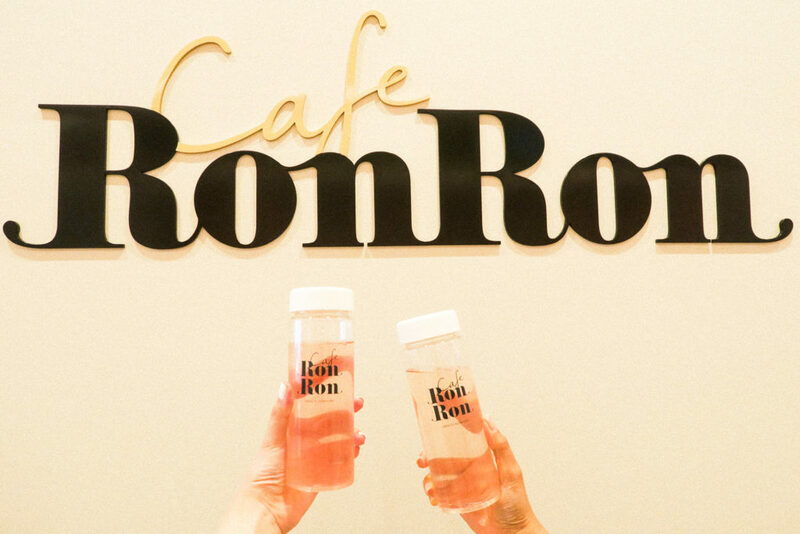 Cafe RonRon just opened on July 16th, so if you’re in Harajuku, be sure to check it out! 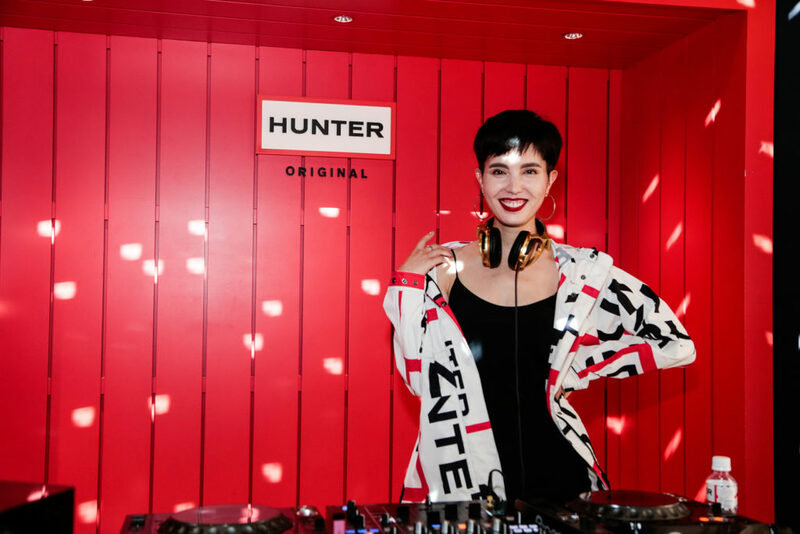 Hunter Boots had it’s summer party right before Fuji Rock Festival, and it couldn’t have come at a more convenient time! 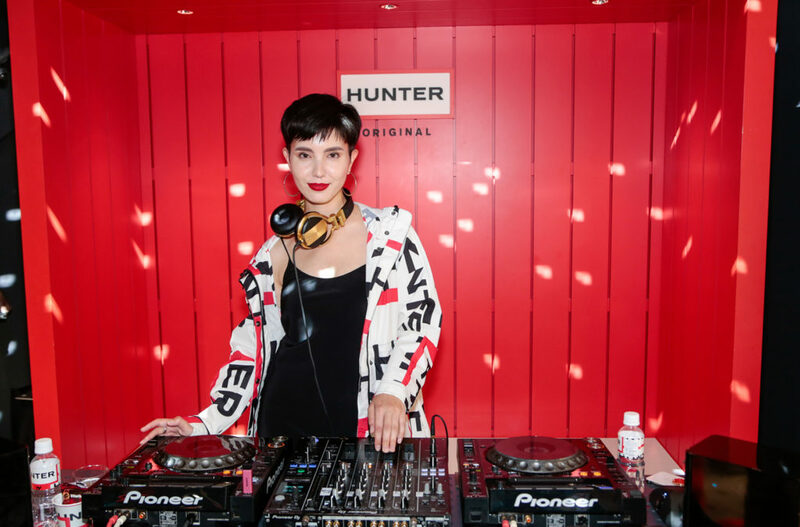 Since it’s always bound to rain during Fuji Rock weekend, it’s so important to have your rain gear in check (hint: Hunter gear!). 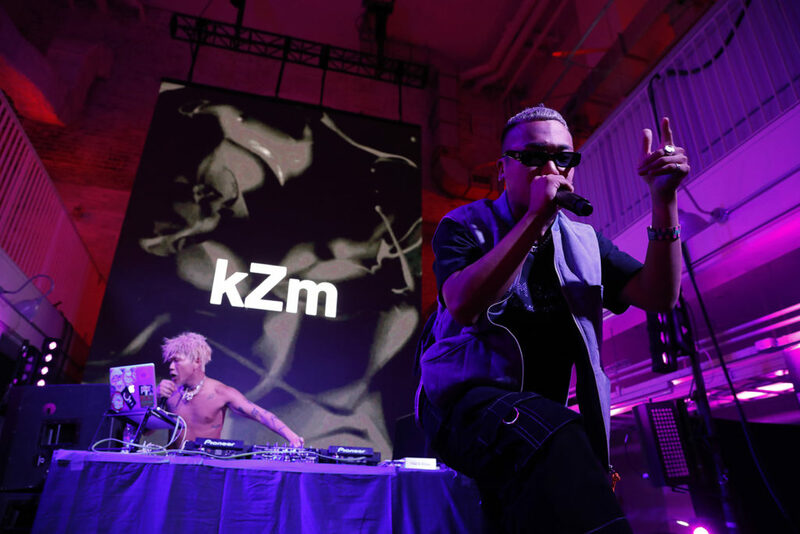 I had the pleasure of DJing for their Festival of Summer party at the Tokyu Ginza store with my friend TIGARAH. If you’re looking for cute raingear, I highly recommend some of Hunter’s stylish designs. 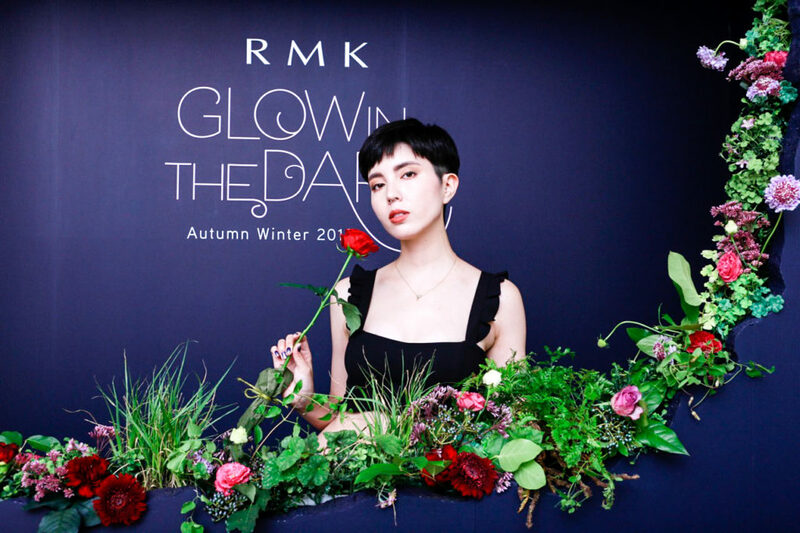 RMK is one of my go-to makeup brands, and I was so excited to check out their newest exclusive collection titled “Glow in the Dark.” I loved the mysterious, secret garden-like theme and the beautifully vivid colors of their products. 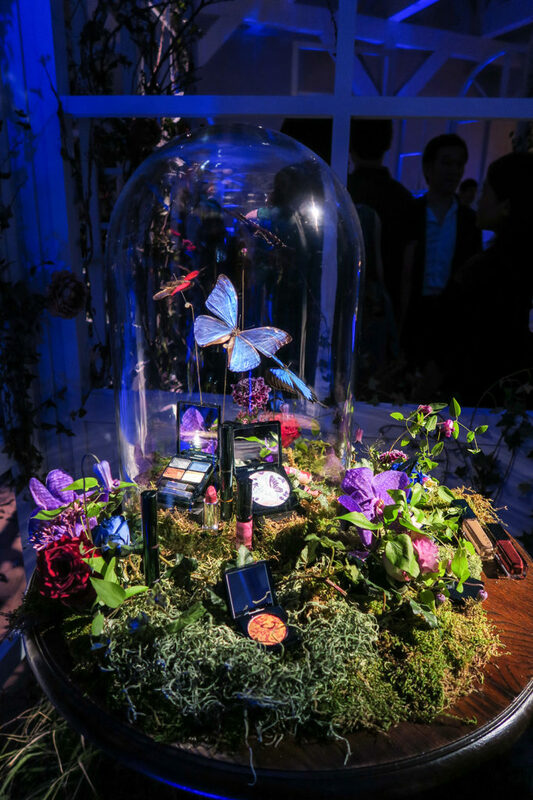 Located upstairs was the makeup touch-up area, with several photo op locations on the main floor. 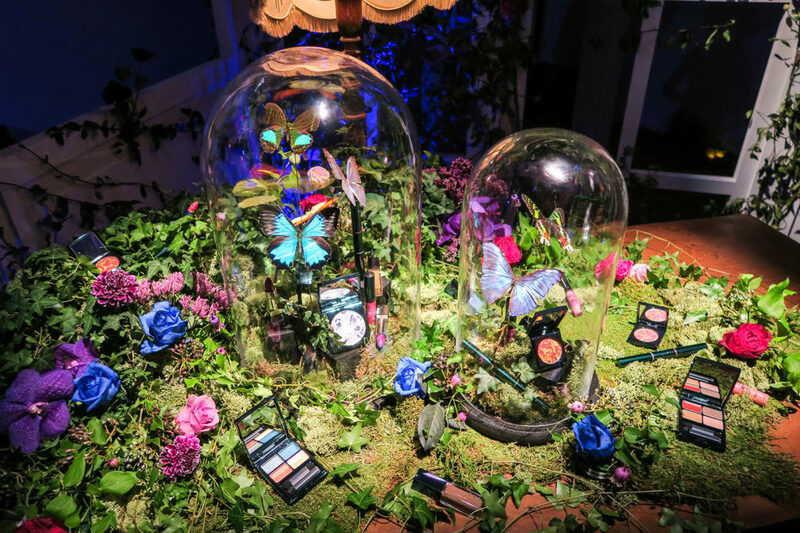 They did a beautiful job setting up the venue to make a makeup-lover’s dream come true. 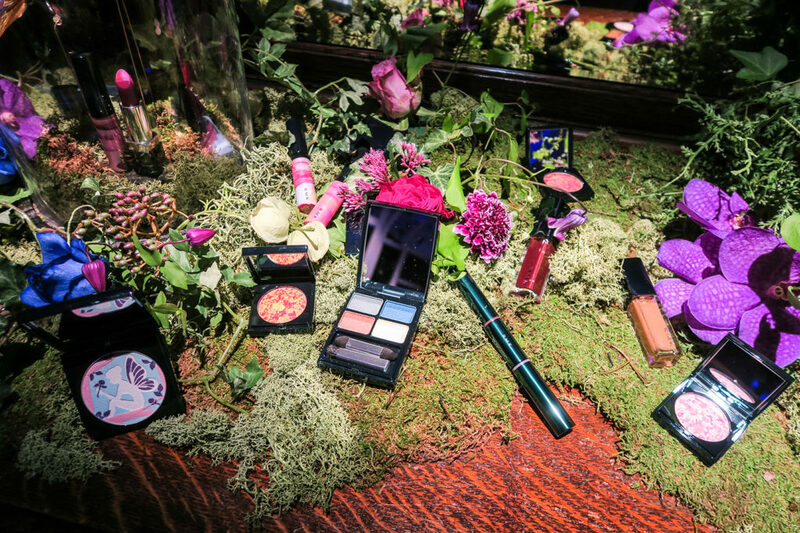 I can’t wait to try out some of these new products! 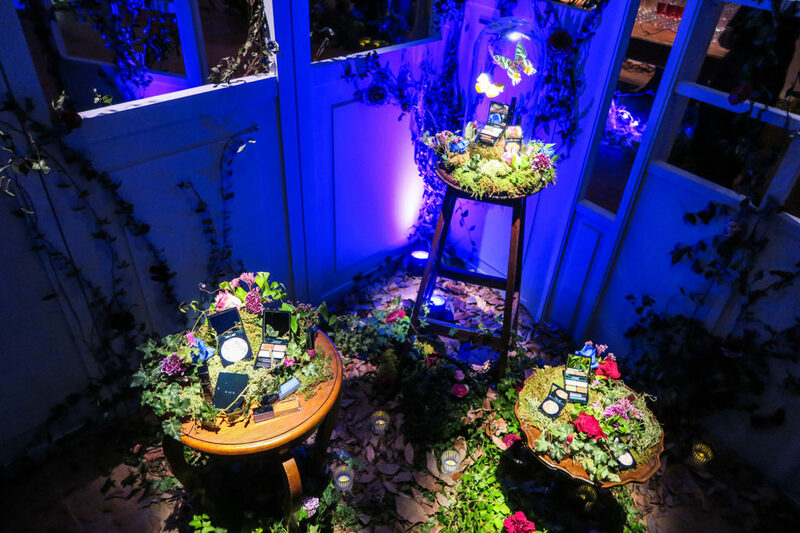 Ah the party looks so fab and fun, thanks for sharing your experience. 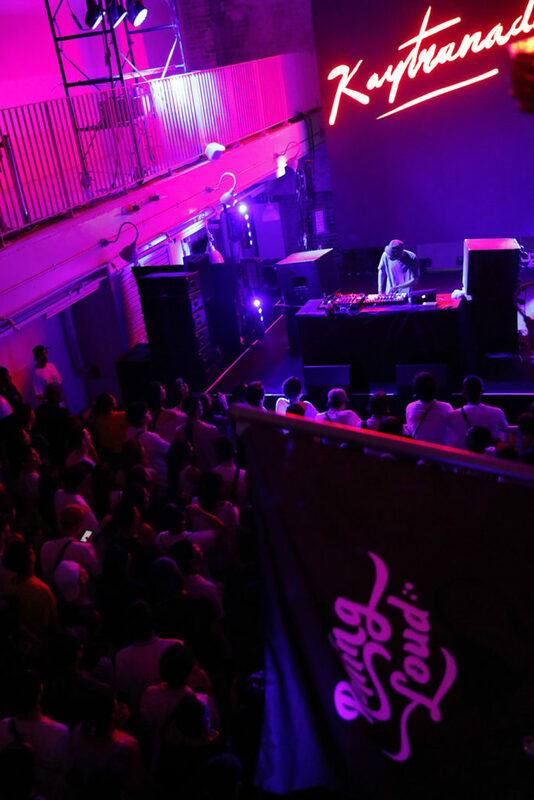 Looked like such a great event and party, glad you had a good time, thank you for sharing your event with us! 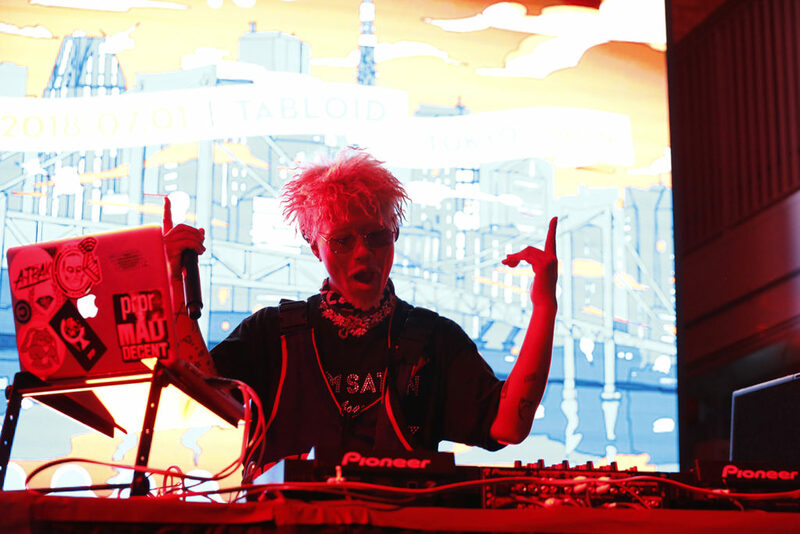 It seems like you had a blast! 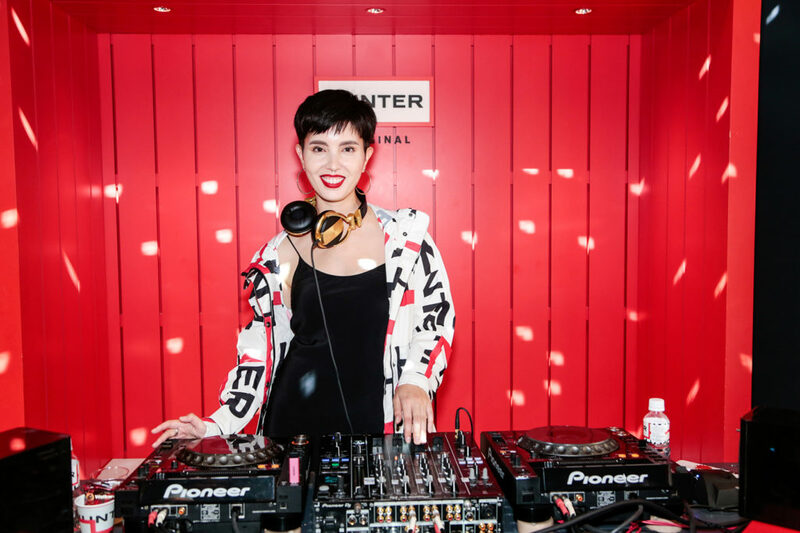 I totally loved the Cosmopolitan event! 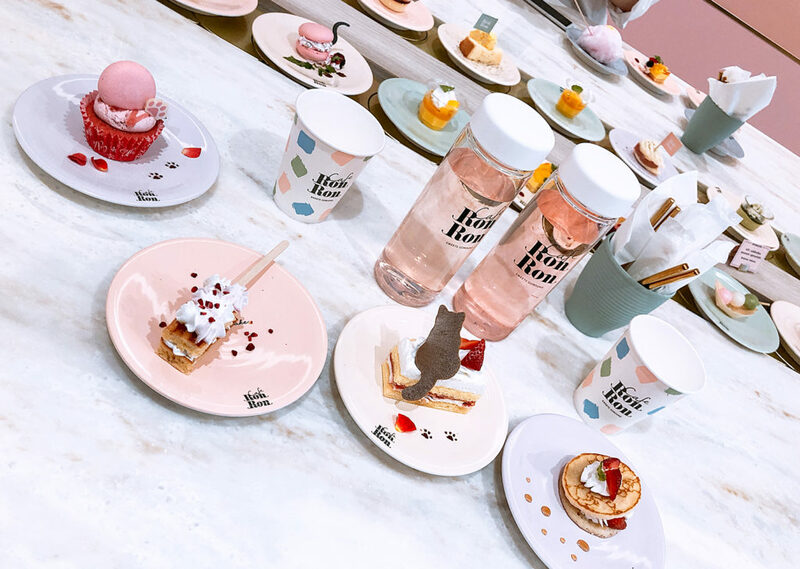 The pool with everything pink is making me fall in love everytime I see the pictures lol Oh and btw the desserts with kitty cats on them are just sooo adorable. Seems like you had such a great time! It might sound weird but I wouldn’t have guessed this festival was in Japan! I love your outfits and photos as usual 🙂 It must also be amazing to be a translator because you obviously know your talents and skills are needed and valued! Can’t wait to follow along your many other future events! All that event looks so much fun! 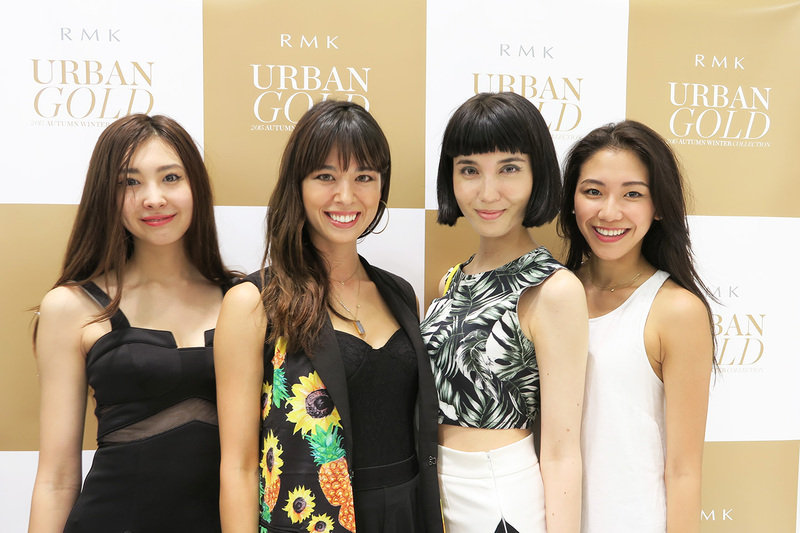 I hope you enjoyed them and had a really great time <3 love your floral jumpsuit too! It's lovely. I know you had so much fun! It looks like you’re truly enjoying life!! 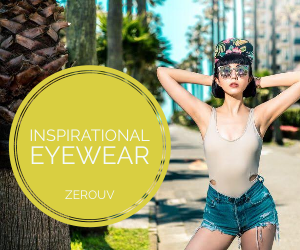 Of course all of your looks were fly. My favorite was the black off the shoulder top and that flip flops and socks. 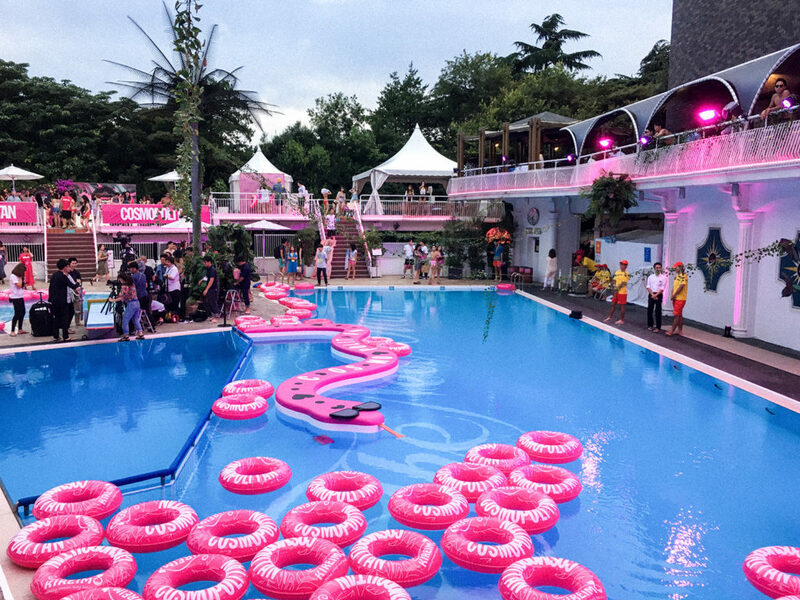 Oh and that pink party with the cute floaters in the pool made me sooooo jealous!!! Looks SO FUN! 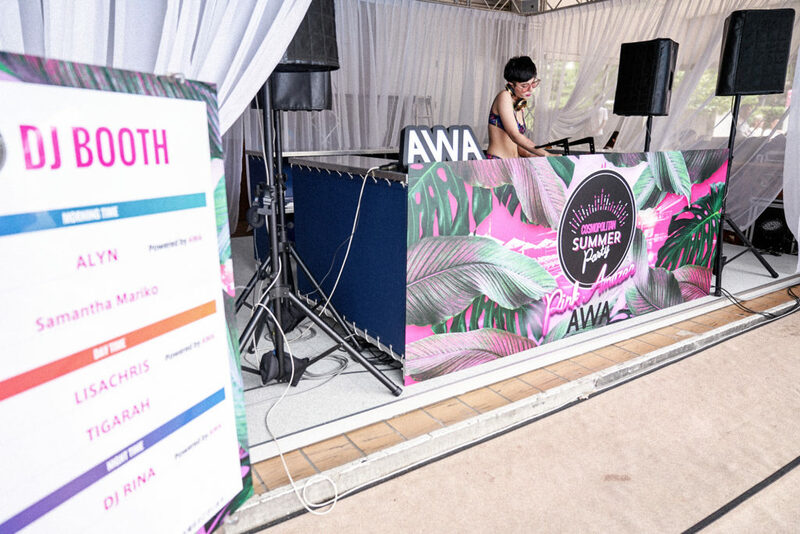 Love that you’re DJ-ing in a bikini too! You’re so talented my love can’t get over your cute haircut too! More posts like these please! It seems you’ve had blast. 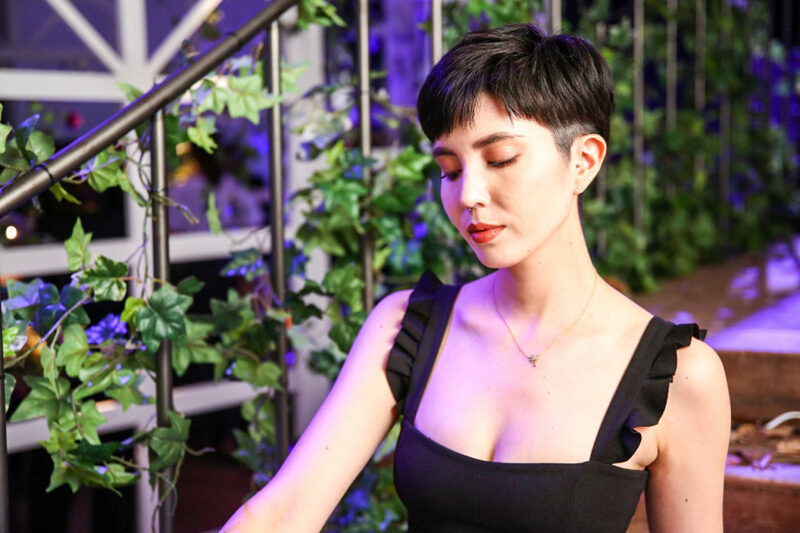 Beautiful party report. 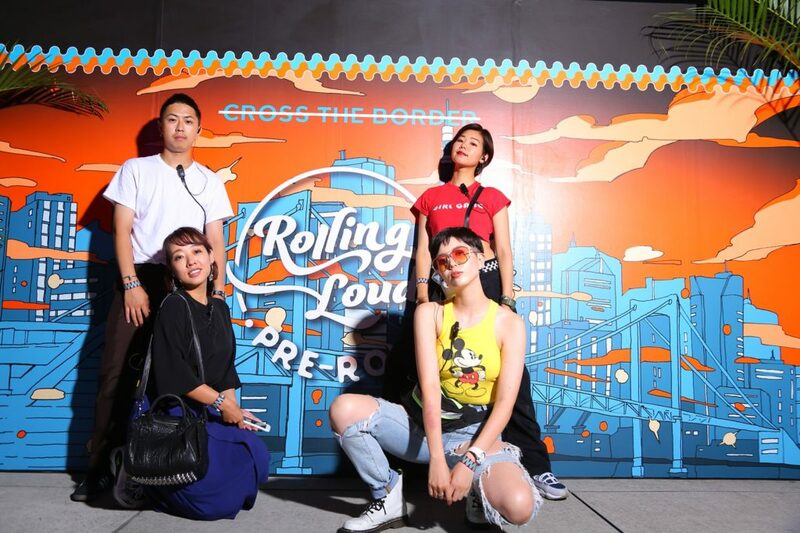 I’m glad you working like Pr so you can have more access on events, meet new peoples and opportunities. 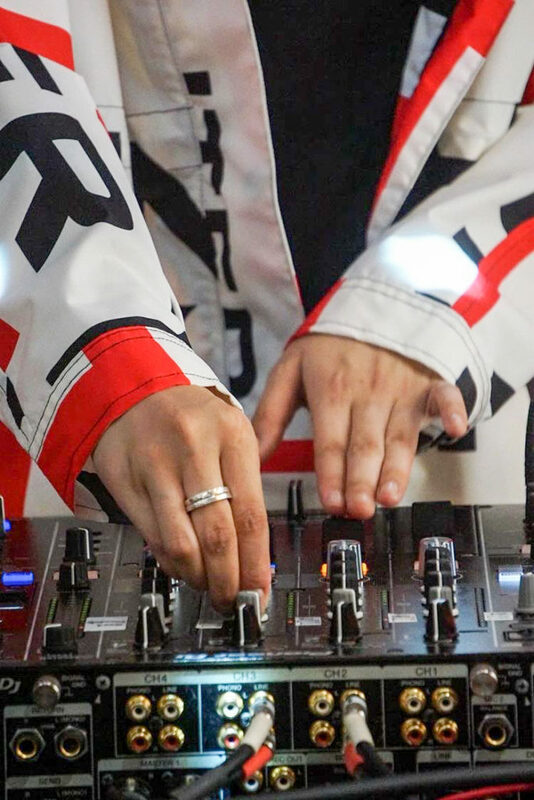 And also enjoy your hobby like a Dj. So cool babe. 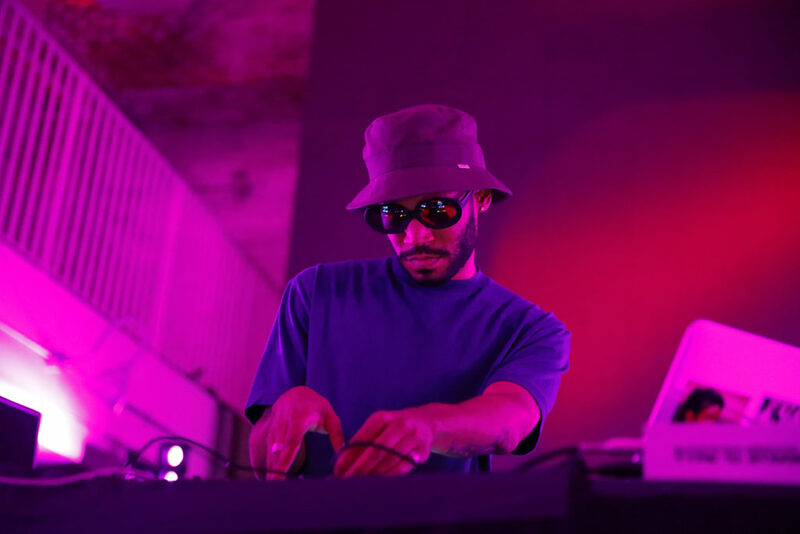 Wow look at you DJing all over town at the most amazing summer pool parties! Hahaha which one was your favorite one? The Cosmo one looked really cool to me. 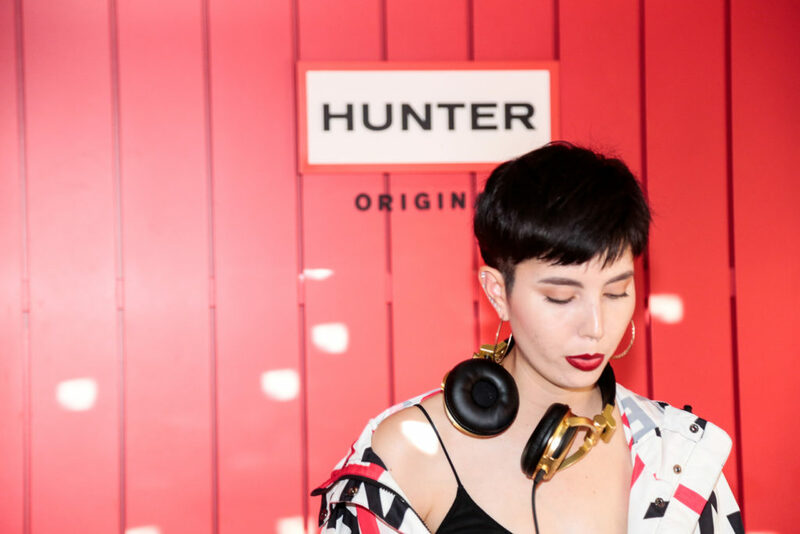 I also liked the Hunter one and the summer slides you had one. So used to their rain boots but it was nice seeing those slides for summer! So cool you started working on a PR company am!! Congrats. I’m sure its very fun and you will make lots of contacts!! All these events looks so fun and interesting. 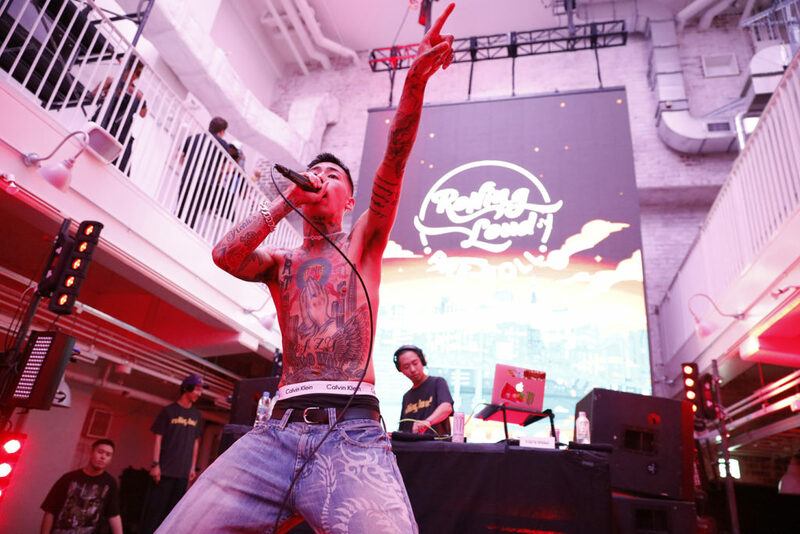 I’m still hoping to see you play one time soon really a fan of your music.